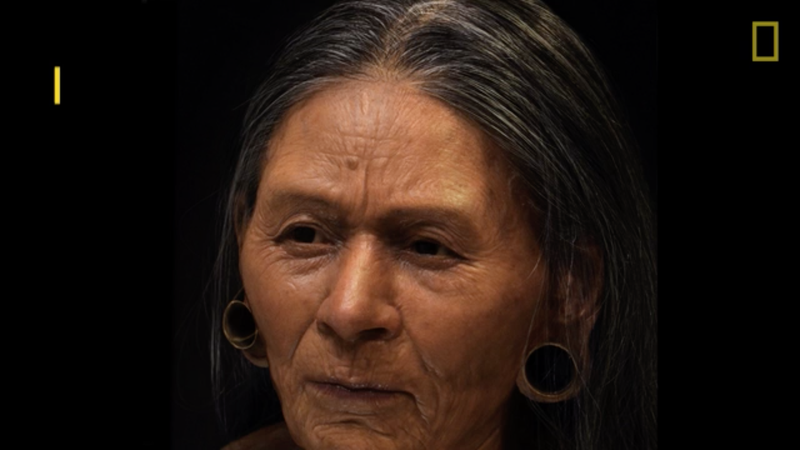 We can now look into the (reconstructed) face of the “Huarmey Queen,” a noblewoman who died roughly 1,200 years ago in what is now Peru. A weaver, she was buried with jewelry and other fancy accoutrements. She is my queen. The Huarmey Queen, in particular, must have been revered for her weaving; she was buried with weaving tools fashioned from precious gold. In addition, she was missing some of her teeth—consistent with the decay that comes with regularly drinking chicha, a sugary, corn-based alcoholic beverage that only the Wari elite were allowed to drink. And now archaeologist Oscar Nilsson has painstakingly reconstructed her face. We should all look so great after a millennium.